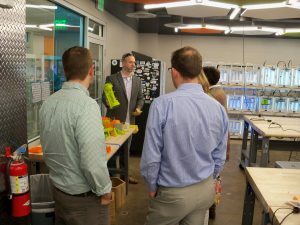 Chip Bobbert showing items that were recently 3D printed in the lab. 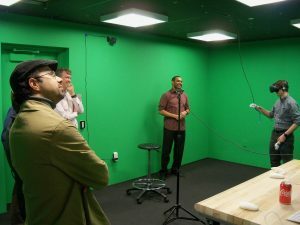 Mark-Everett McGill walking a participant through VR experience. 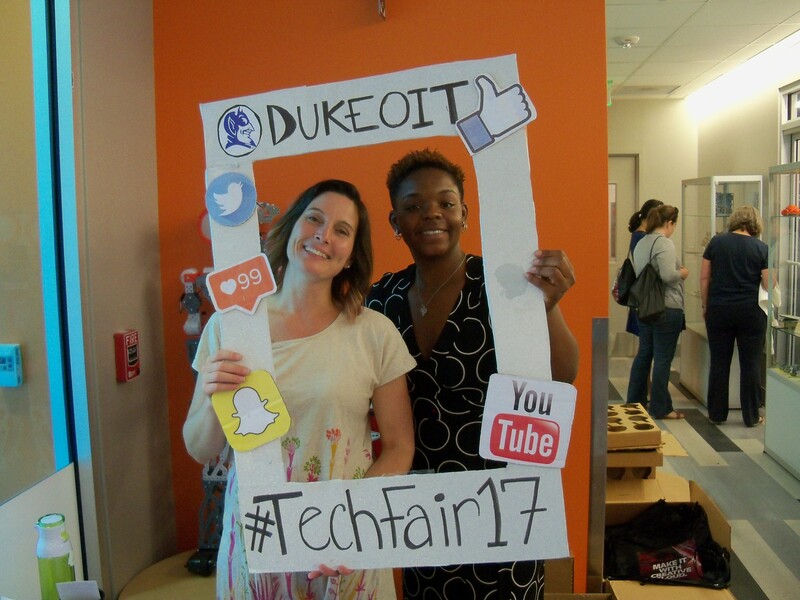 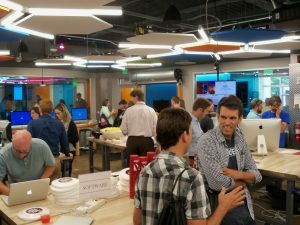 OIT hosted its first Duke staff TechFair on Wednesday, July 26 at the Technology Engagement Center. 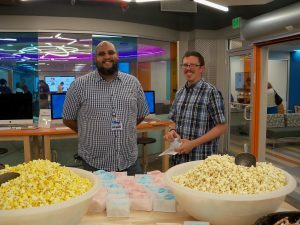 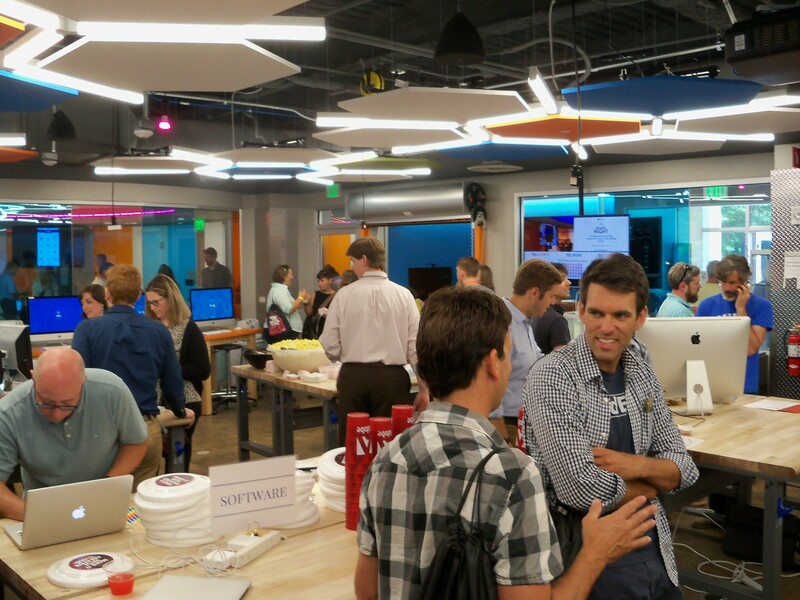 The event was a pilot to gauge end-user engagement interest and showcase TEC. Tables included: Security, 3D printing, virtual reality, Office365, WebEx, Box, IT Training, Law School, MyTours, Software, DukeMobile, Duke Digital Initiative, Duke Web Services, & DukeFlyer. 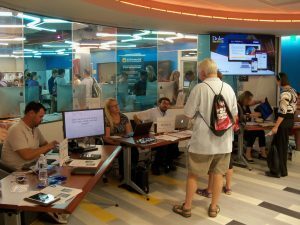 Haven’t been to the TEC yet? Stop by and check it out!